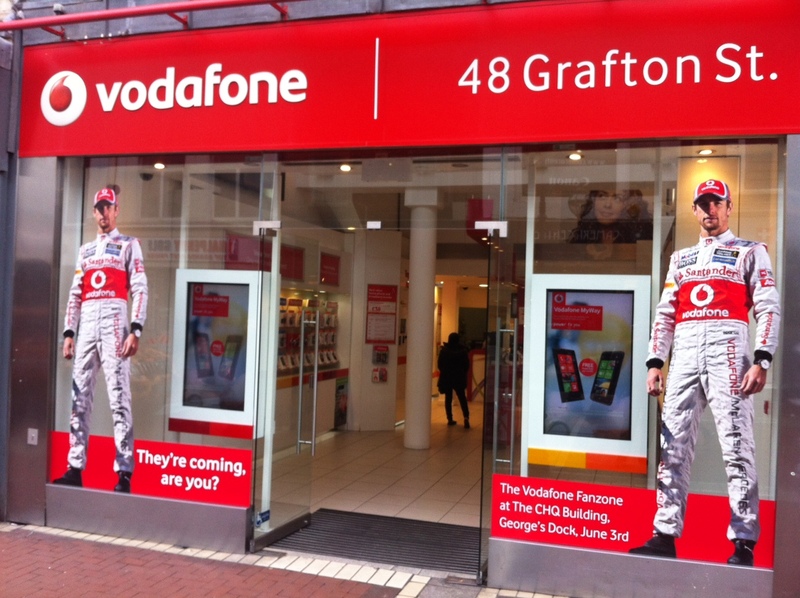 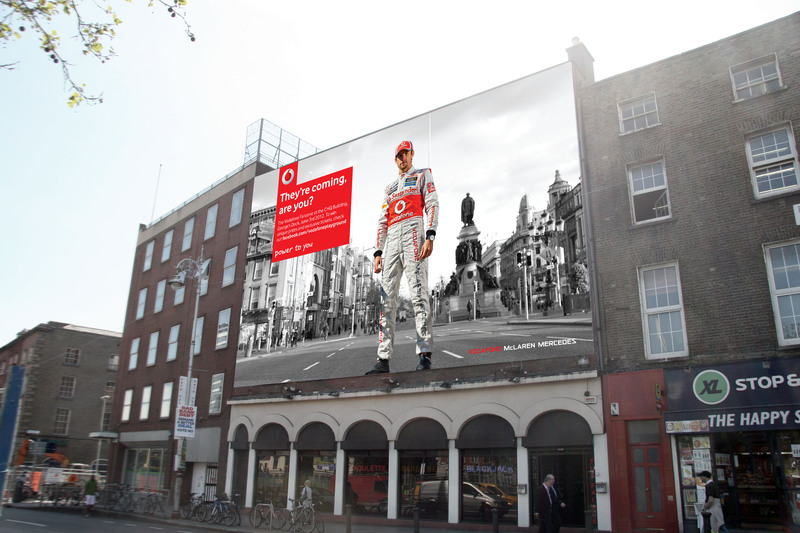 Vodafone – They’re Coming, are you? 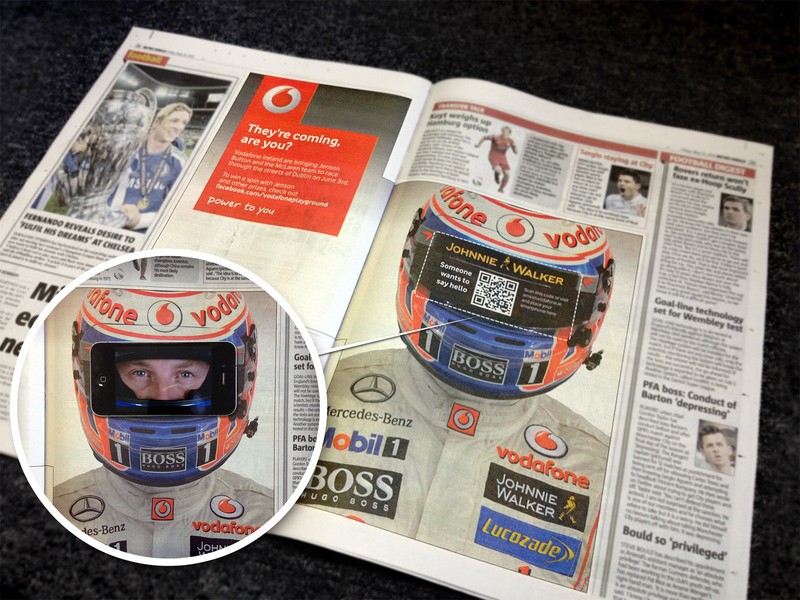 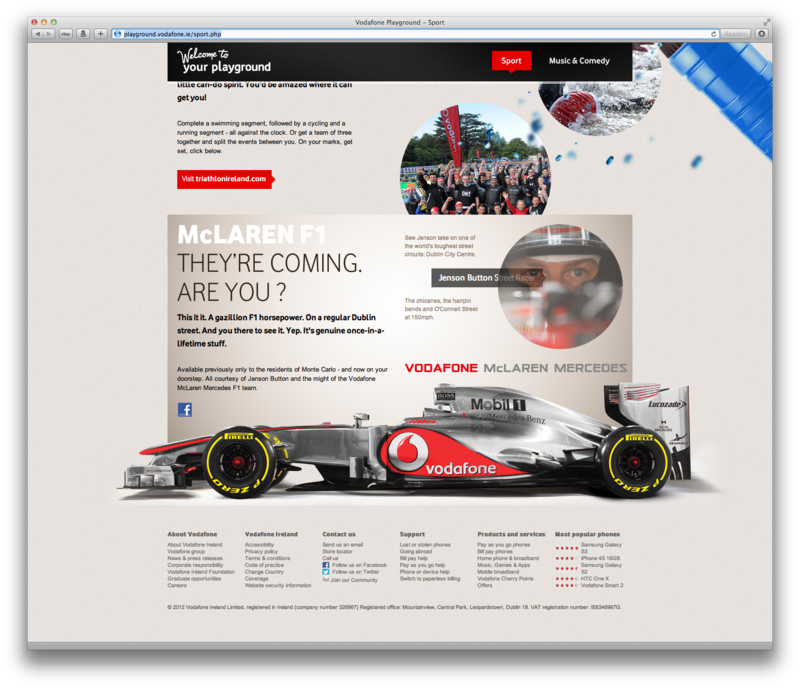 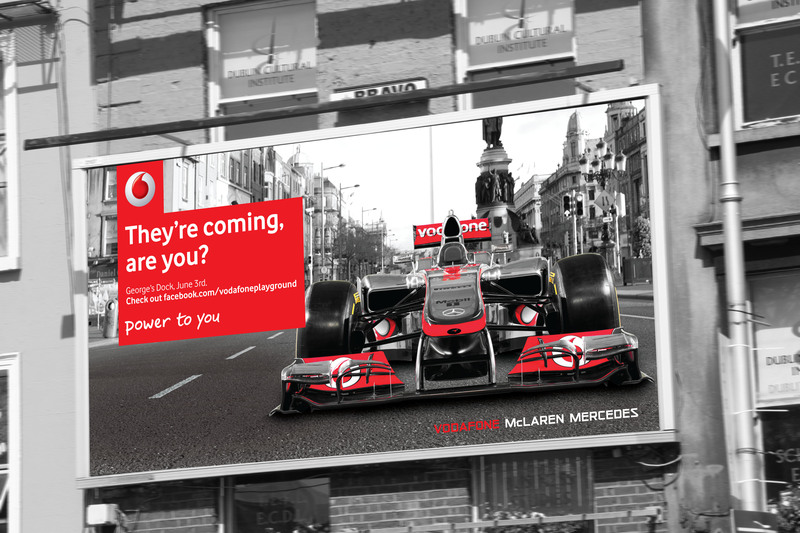 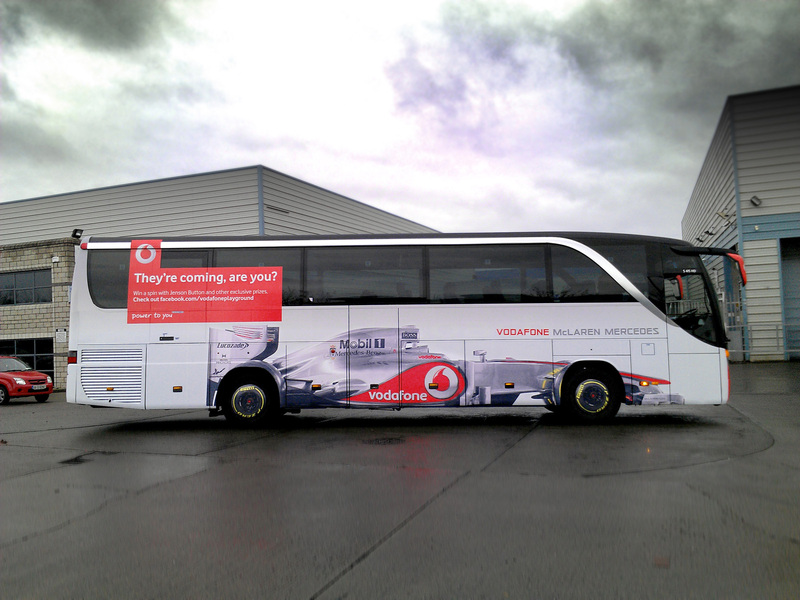 Through the line campaign for Vodafone to leverage their sponsorship of the McLaren Mercedes F1 team. 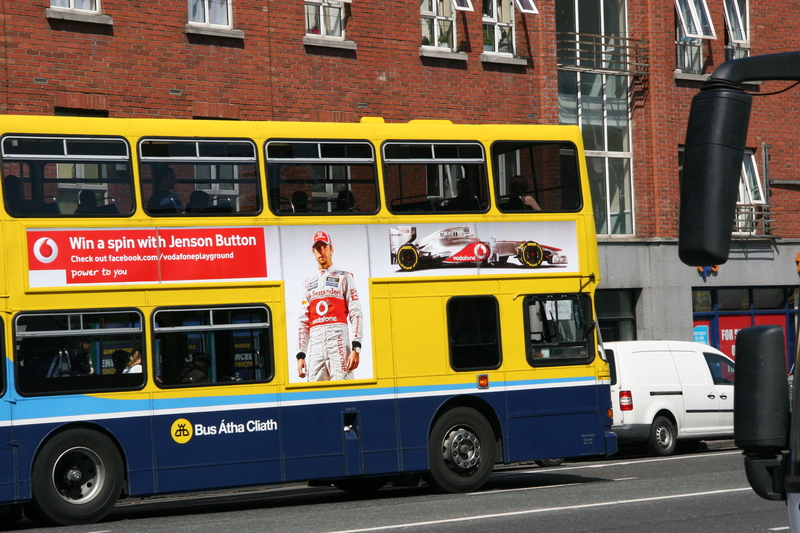 As part of the ‘Bavaria City Racing’ event in Dublin, Vodafone were bringing Jensen Button and his VMMF1 team and car to take part in the event. 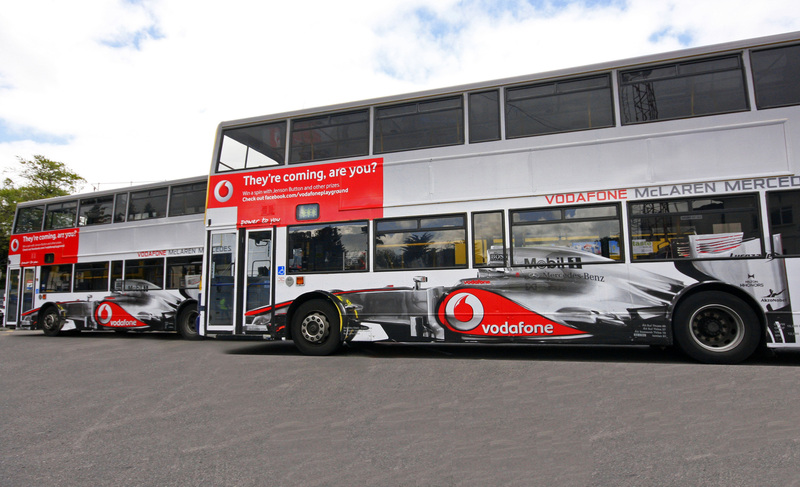 Our campaign helped Vodafone to take ownership of the event and effectively usurp the title sponsor. 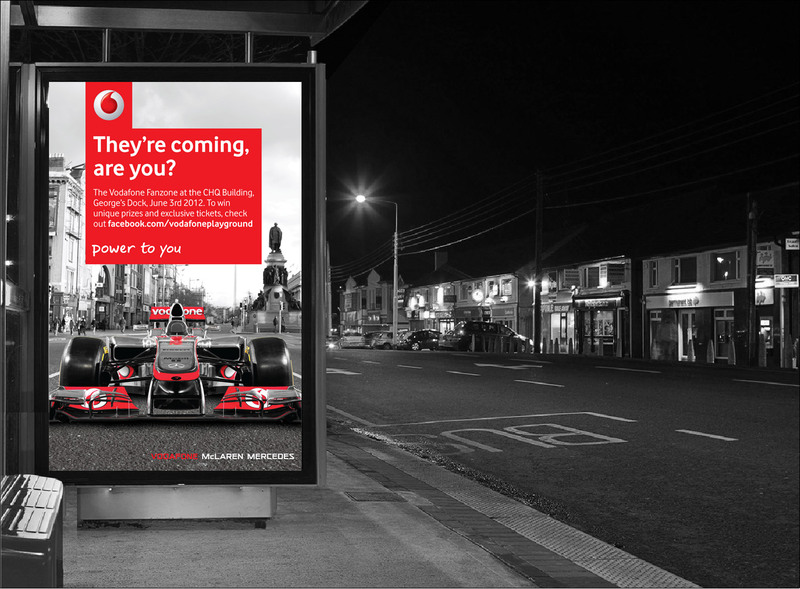 Winner of ‘2013 WINNER BEST LIGHT TO MEDIUM WEIGHT CAMPAIGN’ at the outdoor Media Awards.